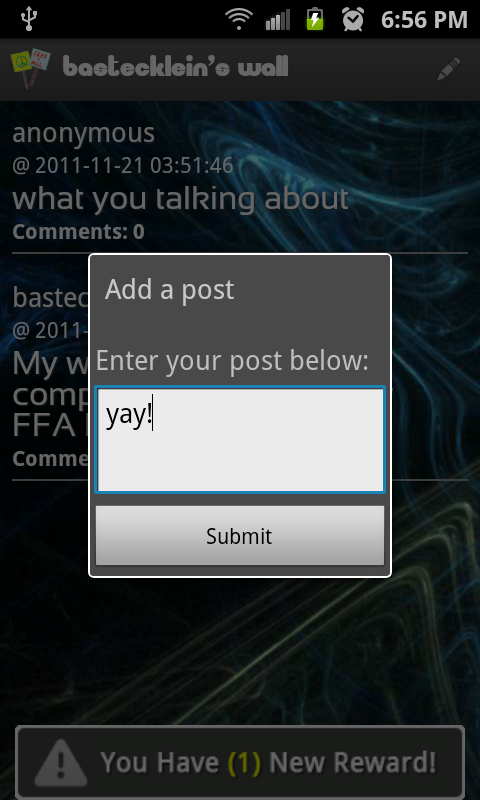 Jump into the unmoderated fray with Free For All, a no holds barred mobile Discussion forum app for Android! Talk about anything and everything you want, argue or fight to your hearts content, and throw down the gauntlet! 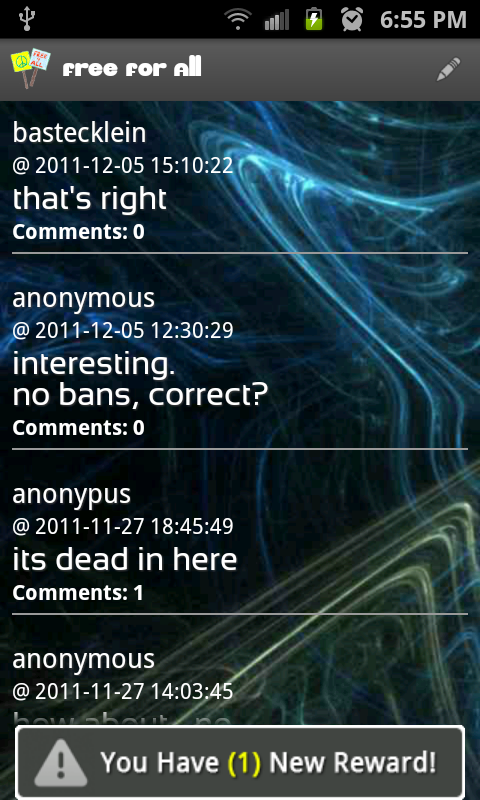 Just understand what you are getting into, an unmoderated mess called the Free for All!